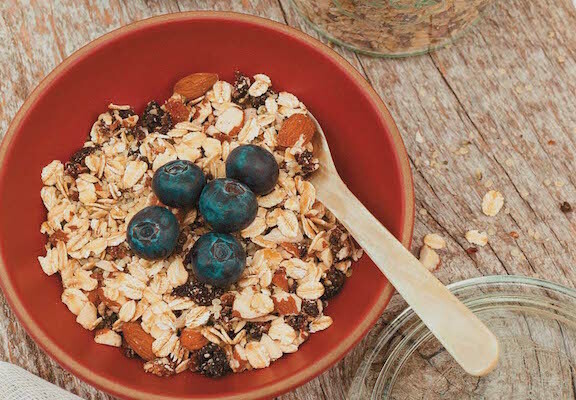 This is a simple European–inspired breakfast cereal that is easy to make and convenient to keep on hand for a Quick breakfast. It’s especially great to take with you when traveling. I find the dates balance out the tartness of the cherries quite nicely, but you can substitute either with your favorite dried fruits, such as apricots, apples, and cranberries. Serve with chopped bananas, apples, or fresh berries and your favorite nut milk. See a cooked variation following the recipe box. Recipe and photo from Raw and Simple by Judita Wignall. @2013 Quarry Books, reprinted by permission. 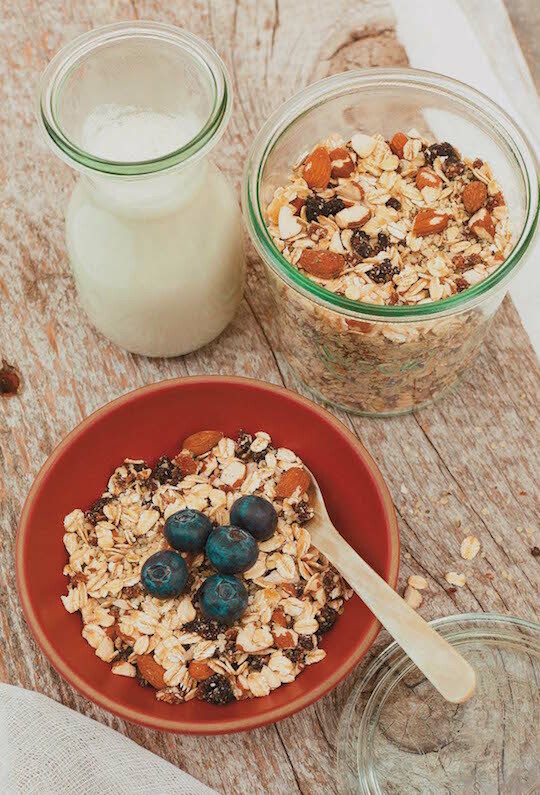 This is a simple European–inspired breakfast cereal that is easy to make and convenient to keep on hand for a quick breakfast. Place the dried cherries and dates in a food processor and process until broken down into smaller pieces. Don’t process for too long, though; you don’t want to make a paste. Drier dates are preferred here instead of the soft, gooey ones. Add almonds and vanilla and pulse until all ingredients are incorporated but still a little chunky. Transfer the mixture to a bowl and add in oats and hemp seeds. Store in an airtight container for four weeks or longer in the refrigerator. Cooked variation: Mix with cooked quinoa and sweetened almond milk. Quinoa is an alkaline, gluten–free seed grain and is a good source of protein and B vitamins.